With au revoir but not goodbye. I want to say "THANK YOU" to all of you who have participated throughout many letters of 20 alfabets already on this meme which was originally created by Mrs. Nesbitt and has been managed by Roger with Leslie as his sidekick for many years following Mrs. Nesbitt. Starting july 12th, Round 21 will start in a new home. I am very gratefull that some 'old' teammembers have agreed in staying in as a teammember, so I don't have to do it all by my self but I can promiss you that we will give our very best to keep this meme running. The only thing we need.... is YOU! if you are a facebooker... check out : https://www.facebook.com/abcwednesday21 too! Hi all members of our ABC-Wednesday-family. This will be the last birthdaypost on this url... because in 2 days ABC Wednesday will move to http://abcwednesday.com where round 21 will start on july 12th. and wishing you all the best of Luck, Love & Happiness!! If someone wants his/her date to be added to our Birthday-Calendar, just let me know! 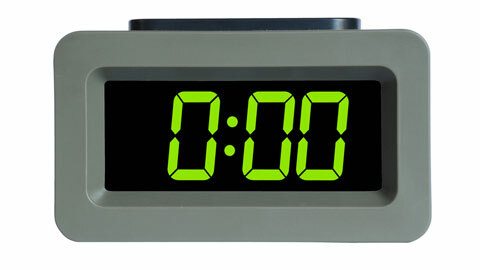 So this is the ZERO HOUR, the last post I will be making at this Internet address. But fret not: when Melody takes over ABC Wednesday at https://abcwednesday.com/ starting the week of July 10, 2017, I'll be visiting folks there. Heck, I've already written my A through G posts, except E.
I'll even be on HER team, so who knows? Maybe I'll write an intro there someday. Did you ever misremember something? 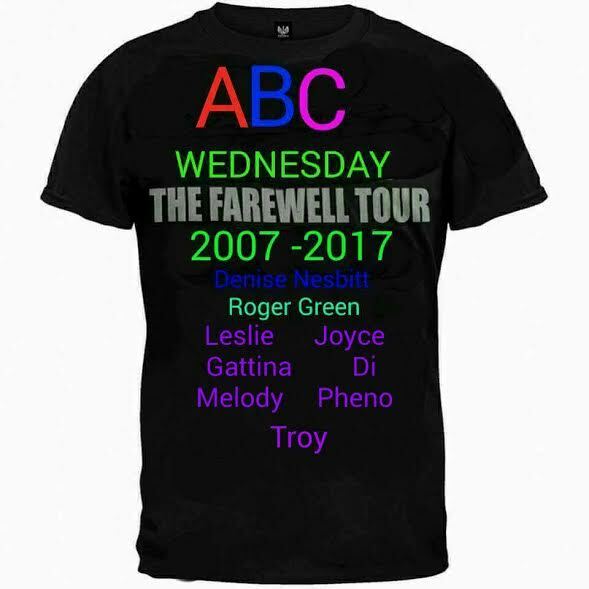 In telling the story of my participation with ABC Wednesday under the tutelage of Denise Nesbitt, I wrote that I started in Round 5 with the letter K. But if ABC Wednesday started in July 2007, and my first post was October 1, 2008, that means it was actually Round 3 . The URL for that iteration of the blog disappeared, except through the Wayback Machine. Wow, I've been at this a long time. And I no longer want to guess when I joined the team. But it was before my mother died on 2 February 2011. I had traveled from Albany, NY to Charlotte, NC after my mother suffered a stroke. Because I figured I'd have no way to write blog posts, I wrote a few before I left, including one about my, at the time of writing, anticipated train trip. Shortly after my sisters and I came home from the hospital, I read an email from Mrs. Nesbitt, to which I had briefly replied that Mom had died. If you read the comments on the post, it became clear that Mrs. Nesbitt had notified people that my mom was sick - I did no visiting of the blogs that week - and then notified folks again upon the news of Mom's passing. If I ever have the need to cry, all I need to do is read the sweet comments from this post from about 2:12 p.m. on. And when I got home in Albany a week later, there were fresh flowers on my doorstep from Mrs. Nesbitt. So when she asked me to take over ABC Wednesday in July 2012, I said yes. And I have visited every post over the past five years and attempted to leave a comment; if I didn't, it was because of I could not for reasons idiosyncratic to the blog I was visiting. And now, after five years, I'm handing it off to Melody, at a new address - note the change in the URL - but operating at the same time of the week, and with the same alphabetical principles. About a decade ago, TIME magazine named YOU as the Person of the Year. "In 2006, the World Wide Web became a tool for bringing together the small contributions of millions of people and making them matter." And as true as it was then, it's far more true now. And YOU continue to matter to us at ABC Wednesday. Round 20 is ending under the direction of Leslie and me, and before that, Denise Nesbitt. 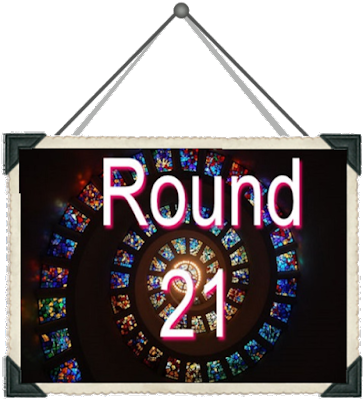 Round 21 is about to begin at https://abcwednesday.wordpress.com/ under Melody's tutelage. But it means nothing, NOTHING without YOU. Without YOU, there's frankly no point to it all. The very first Bob Dylan song I ever owned was on a compilation album called The Best of '66. That was 1966, BTW, NOT 1866. The song was I WANT YOU [listen]. Somehow seems appropriate.